Nativity at home | Let their light shine! 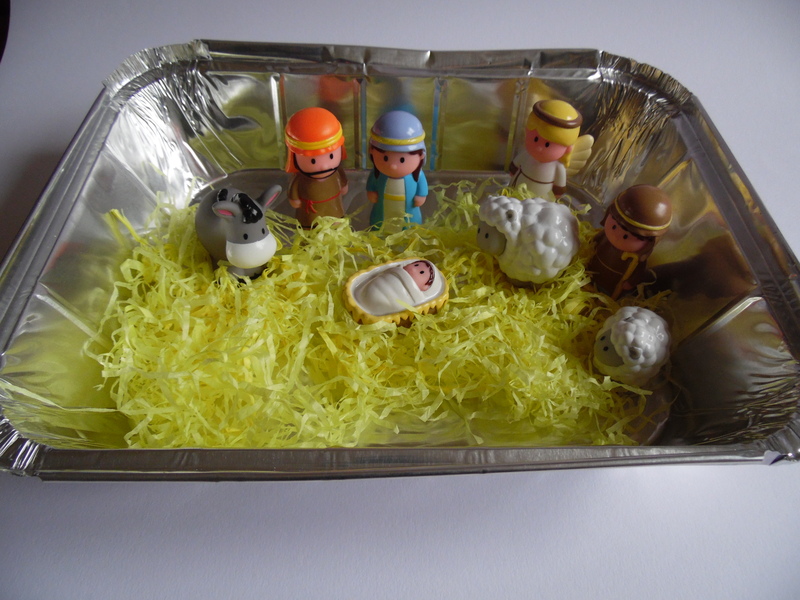 We’ve had our Early Leaning Centre Nativity for about 14 years and it is still going strong. 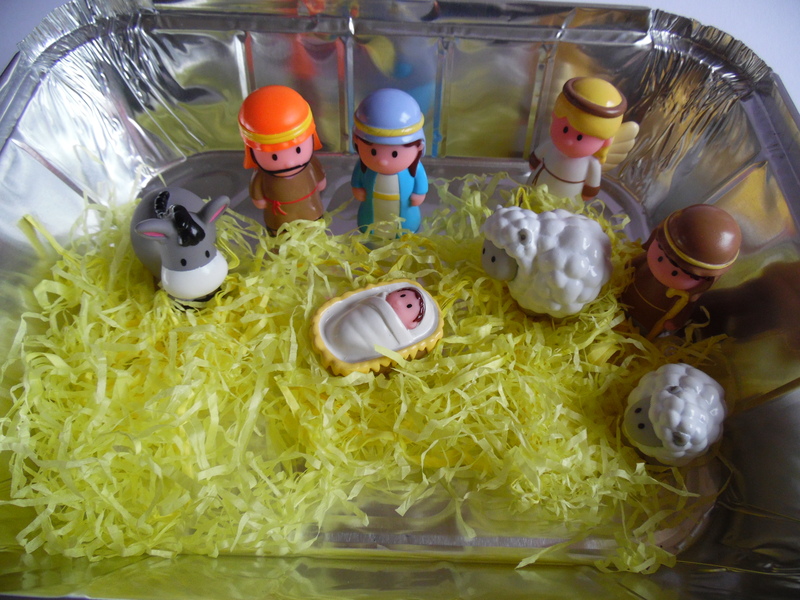 Sadly the new sets no longer have a stable 😦 But with some shredded tissue paper for straw and a big catering size foil dish to keep the tissue paper contained, you have a place to display an play with the nativity figures. « Luke 2:11 colouring – with a PDF that works!